Welcome to the North Pole – a magical place full of happiness, friendship and love – home to a rag doll named Eleanor. 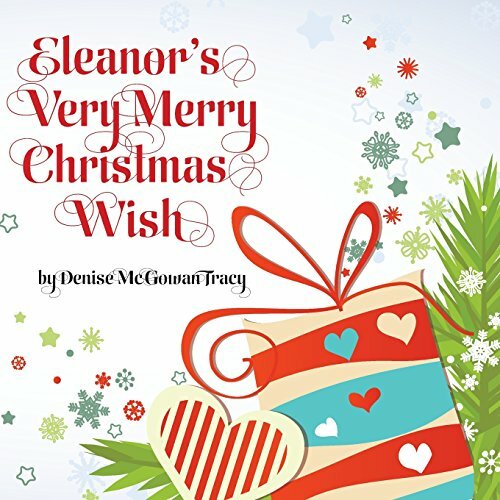 Surrounded by Santa, Mrs. Claus, Clara and the elves, Eleanor understands the importance of family and home which is why she has a very merry Christmas wish of her own. With the help of all of her North Pole family, Eleanor learns that wishing alone is simply not enough to truly make your dreams come true. Denise McGowan Tracy was born in a magical place called Chicago…in a time before cell phones…when tablets were made of paper. She lived a fairy tale life that included spending time with wonderfully talented people who can sing, act, dance and tell stories. Many of these people have become her very good friends, so Denise spends countless hours in theaters watching make-believe come to life. Sometimes she even gets to be on stage at a place called Petterino’s where she sings and introduces other wonderful singers to an adoring audience. Denise now lives happily ever with her husband Ed in a castle along Lake Michigan where they watch the moon and the stars every night.